The physis of the distal femur is inherently weaker than the ligaments of the knee. Therefore, if an injuring force is applied to this area, a physeal fracture will more readily be produced rather than a disruption to the surrounding ligaments of the knee [1, 2]. A fracture to the distal femoral epiphyseal plate injury is frequently the result of high-energy forces. Common mechanisms of injury include motor vehicle accidents (including pedestrians and cyclists), sports-related injuries and falls [3-5]. In treating distal femoral physeal fractures, surgery is thought to have less risk of re-displacement of the facture, yet this treatment modality is not without risks . Potential surgical complications include osteomyelitis, injury of surrounding structures including vascular injury, nerve injury and growth plate injury [3, 9, 12]. For conservative treatment, complications relate to re-displacement of the fracture . Previously published case studies show a degree of inconsistency in implementing surgical and conservative treatments for similar fractures and presentations. Generally, current practice for distal femoral physeal fractures is for non-displaced SH I fractures to be managed conservatively in a full-length leg cast or hip spica. If displacement does exist, closed manipulation with a cast may be used. Internal fixation involving K wires or pinning through the epiphysis offers another option for this fracture type. Non-displaced SH II fractures may be managed non-surgically but must be monitored closely for loss of reduction. Displaced SH II as well as SH III and IV have been managed surgically, although exact methods of surgical approach and devices vary [4, 6, 7, 11, 13]. Angular or rotational deformity, measured radiographically in accordance with the appropriate technique described by Dror Paley . The methods were detailed in an a priori protocol, published in the Joanna Briggs Institute Database of Systematic Reviews and Implementation Reports . Despite this, there were insufficient studies with comparable patient characteristics and outcome measures to pool data for individual SH distal femoral physeal fractures. It was therefore not possible to perform meta-analysis on this dataset. Instead, a narrative synthesis accompanied by tabular presentation of the results was performed. From the search of databases and for grey literature, 7740 studies were identified. From these, 7425 were omitted after review of the title. There were 315 abstracts reviewed to determine eligibility. After review of the abstracts, removing duplicates, studies outside the date criteria, or not in English, 61 studies remained. After review of these full text articles, 45 studies were excluded as they did not satisfactorily meet the inclusion criteria. Sixteen case series studies were appraised, of which one study was excluded at this stage as there was inadequate detail of primary outcomes . The process of study identification, selection and inclusion is illustrated in (Fig. 1). Fig. (1). PRISMA flowchart of study selection and inclusion process. All 15 studies were retrospective case series with patient numbers of between six and 151 patients. All were Level 4 evidence, according to the JBI Levels of Evidence . There were no higher-level evidence papers identified by the search. 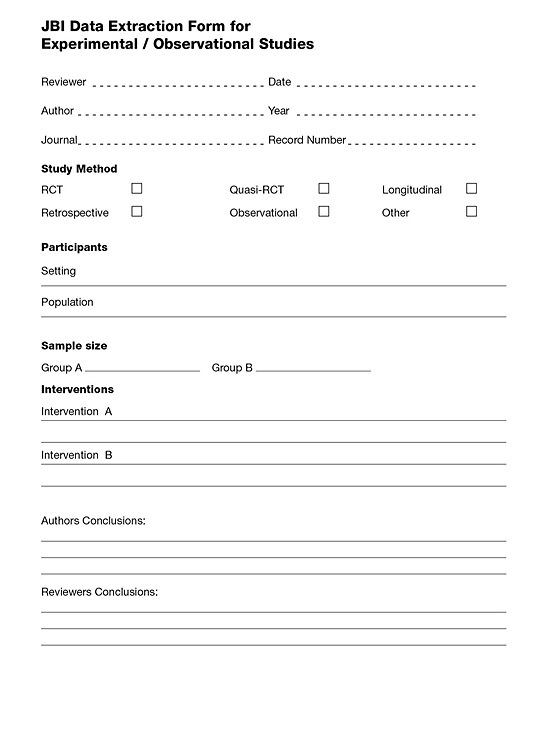 Although typically containing a small number of subjects, this study design allowed moderately detailed descriptions of the subjects, injuries and outcomes. Patients were followed up between two months to 19 years post injury but follow-up durations also included until skeletal maturity or the conclusion of growth . There appeared to be little change in treatment methods throughout the studied period, with the exception of traction which is now used less frequently in Western countries . Where possible, factors which might influence the outcome of the treatment were noted. Whilst one of the 15 papers showed that surgical intervention was associated with a better outcome than conservative means, another showed a trend towards this [3, 12]. Three other papers contradicted this, indicating that an operation would yield a worse outcome [19-21]. Given these papers had very small patient numbers and insufficient patient detail, no conclusions can be drawn to suggest a superior management strategy. Of the 15 papers, five showed SH classification to correlate with prognosis [3, 13, 18, 19, 22]. In contrast, only one paper highlighted a varying outcome based on displacement whilst another paper showed the injury mechanism related to the outcome . Patient age was also seen by another paper to influence the result for patients  (Appendix IV). Follow-up ranged from three months to 36 years. From the study by Plánka et al., that followed patients for three months only, six of their 31 patients were noted to have complications of leg length discrepancy and angular deformity . This represented a complication rate of 19.3%. In contrast, Caterini et al.., that followed patients for 12 to 36 years, reported a complication rate of 71.4% . Caterini et al.. also noted that some cases of growth arrest were only evident many years after initial injury . Specifically, one patient’s LLD was 1 cm at nine years of age; at 15 years, this LLD had progressed to 6 cm . Table 1. 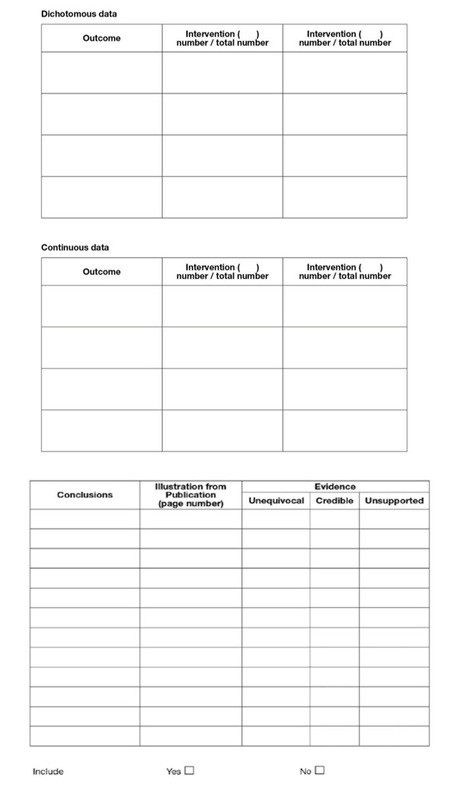 Key intervention characteristics of included studies (comparative studies of surgical and conservative interventions). Based on Reported Outcomes, was Surgical Management Associated with Better/Worse Outcomes†? With a range of treatment strategies, the rate of complication in the surgical population was 37.8%. In the conservative population, the rate of complication was marginally lower at 34.0%. A reason that the complication rate was higher in the surgical group could be that a higher energy mechanism of injury would distribute a more violent force and disruption to the growth plate, resulting in fracture displacement. Displaced fractures are more commonly treated by open reduction as a closed reduction would be less successful in placing the fragments back in their original position. A systematic review by Basener et al.. found that displaced fractures were associated with a four-fold higher risk of growth arrest than non-displaced fractures . Another factor contributing to the poorer prognosis of surgically managed patients could be the SH classification of the fracture. As noted in Section 3.4, five of 15 papers showed that SH classification was correlated with prognosis, again potentially impacting the results if not factored in. An example of the reasoning is that a conservatively managed SH I injury is likely to have an improved outcome in comparison to a surgically managed SH V injury and should not be compared. This is in line with the literature for SH I injuries which also suggests that SH I injuries have a low complication rate . One study demonstrated that the presence of displacement, not direction, as well as the SH classification, did influence the patient’s outcome in terms of growth or angular deformity . They also demonstrated a trend, without statistical significance, that Steinmann pins across the physis led to double the number of complications compared to a physeal sparing approach. However, in 2011 another study showed that smooth pins across the physis were not statistically associated with physeal bar formation . 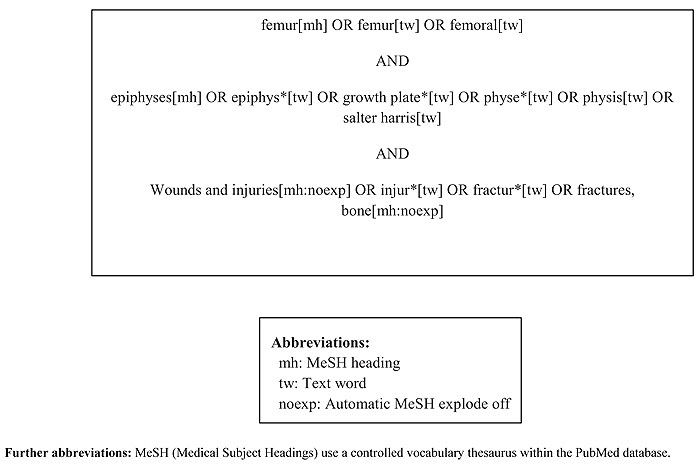 The largest number of Type VI physeal injuries in the literature was included in this review . Of their eight minimally displaced distal femoral physeal fractures, the focus was on conservative management with minimal issues noted. In contrast, a different study with varying types of growth plate fractures, demonstrated a 75% complication rate in four patients managed with a closed reduction in an emergency department . With respect to imaging modalities, one study demonstrated that X-ray, in comparison to higher order imaging such as Computed Tomography (CT) or MRI, significantly underestimated the displacement of a fracture . Magnetic resonance imaging is advantageous in also detecting ligamentous, soft tissue injuries and early bar formation [25, 29, 30, 31]. Patients with tenderness over the distal femoral growth plate and are unable to weight bear should be treated as an undisplaced SH I injury with a full leg cast for four weeks, a grade B recommendation according to the Joanna Briggs Grades of Recommendations (79). Magnetic resonance imaging is required for confirmation. If the child is obese or has a muscular thigh, a hip spica cast may provide improved stability across the fracture site . The risk of joint stiffness is less of an issue in the paediatric population. Children with a displaced SH I fracture should be managed with a gentle closed reduction and cast in theatre with image intensifier validation of adequate joint reduction, a grade B recommendation . These fractures are more stable than SH II and over, thus they may not need any fixation. If there is concern about re-displacement, retrograde crossed physeal wires are suggested. These ‘pins’ are associated with a low risk of growth arrest and may be supplemented with a cast . Salter Harris III and IV fractures should all be managed surgically with fixation to prevent displacement from their inherent instability, a grade B recommendation. Higher order imaging is suggested to better appreciate displacement and articular step, and for pre-operative planning . For screw placement, a ‘safe triangle’ exists between the physis, the roof of the intercondylar notch (Blumensaat’s line) and the trochlear groove . Salter Harris V fractures are difficult to detect and in the largest case series, all six of the SH V fractures were initially missed . These have also been labelled as Peterson Type 6 injuries (14). One must therefore have a high index of suspicion with these injuries and obtain higher order imaging such as CT or MRI for further evaluation. It is suggested that these injuries are managed with initial surgical debridement before a physeal bar is to be expected (grade B recommendation)  (79). The management is then directed at addressing of the angular and leg length discrepancy in the medium term. The study by Havranek, the largest SH VI cohort published, suggested that for minimally displaced SH VI injuries of the distal femur, patients faired adequately with immobilisation in a plaster cast . Bertin KC, Goble EM. Ligament injuries associated with physeal fractures about the knee. Clin Orthop Relat Res 1983; (177): 188-95. Edmunds I, Nade S. Injuries of the distal femoral growth plate and epiphysis: Should open reduction be performed? Aust N Z J Surg 1993; 63(3): 195-9. Eid AM, Hafez MA. Traumatic injuries of the distal femoral physis. Retrospective study on 151 cases. Injury 2002; 33(3): 251-5. Graham JM, Gross RH. Distal femoral physeal problem fractures. Clin Orthop Relat Res 1990; (255): 51-3. Arkader A, Warner WC Jr, Horn BD, Shaw RN, Wells L. Predicting the outcome of physeal fractures of the distal femur. J Pediatr Orthop 2007; 27(6): 703-8. Basener CJ, Mehlman CT, DiPasquale TG. 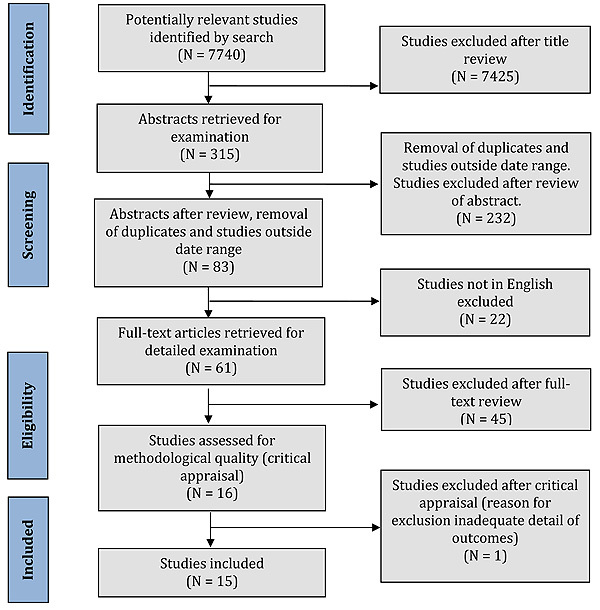 Growth disturbance after distal femoral growth plate fractures in children: a meta-analysis. J Orthop Trauma 2009; 23(9): 663-7. Czitrom AA, Salter RB, Willis RB. Fractures involving the distal epiphyseal plate of the femur. Int Orthop 1981; 4(4): 269-77. Langenskiöld A. Surgical treatment of partial closure of the growth plate. J Pediatr Orthop 1981; 1(1): 3-11. Wall EJ, May MM. Growth plate fractures of the distal femur. J Pediatr Orthop 2012; 32(Suppl. 1): S40-6. Thomson JD, Stricker SJ, Williams MM. Fractures of the distal femoral epiphyseal plate. J Pediatr Orthop 1995; 15(4): 474-8. Garrett BR, Hoffman EB, Carrara H. The effect of percutaneous pin fixation in the treatment of distal femoral physeal fractures. J Bone Joint Surg Br 2011; 93(5): 689-94. Paley D. Principles of deformity correction 2002. Fiala O, Mihula A, Dĕdek T, Grmela M, Zahorák K, Ulybin B. Our experience with management of epiphyseolysis in children and adolescents. Sb Ved Pr Lek Fak Karlovy Univerzity Hradci Kralove Suppl 1992; 35(5): 427-44. Institute TJB. Joanna Briggs Institute Reviewers’ Manual 2014 edition. 2014. Krueger-Franke M, Siebert CH, Pfoerringer W. Sports-related epiphyseal injuries of the lower extremity. An epidemiologic study. J Sports Med Phys Fitness 1992; 32(1): 106-11. Ilharreborde B, Raquillet C, Morel E, Fitoussi F, Bensahel H, Pennecot GF, et al. Long-term prognosis of Salter-Harris type 2 injuries of the distal femoral physis. Journal of pediatric orthopedics Part B 2006; 15(6): 433-8. Caterini R, Farsetti P, d’Arrigo C, Ippolito E. Unusual physeal lesions of the lower limb. A report of 16 cases with very long-term follow-up observation. J Orthop Trauma 1991; 5(1): 38-46. Ilharreborde B, Raquillet C, Morel E, et al. Long-term prognosis of Salter-Harris type 2 injuries of the distal femoral physis. J Pediatr Orthop B 2006; 15(6): 433-8. Buess-Watson E, Exner GU, Illi OE. Fractures about the knee: Growth disturbances and problems of stability at long-term follow-up. Eur J Pediatr Surg 1994; 4(4): 218-24. Lippert WC, Owens RF Jr, Wall EJ. Salter-Harris type III fractures of the distal femur: Plain radiographs can be deceptive. J Pediatr Orthop 2010; 30(6): 598-605. Havranek P, Pesl T. Salter (Rang) type 6 physeal injury. European journal of pediatric surgery: Official journal of Austrian Association of Pediatric Surgery [et al.] =. Z Kinderchir 2010; 20(3): 174-7. Kritsaneepaiboon S, Shah R, Murray MM, Kleinman PK. Posterior periosteal disruption in Salter-Harris Type II fractures of the distal femur: Evidence for a hyperextension mechanism. AJR Am J Roentgenol 2009; 193(6): W540-5. Partio EK, Tuompo P, Hirvensalo E, Böstman O. Totally absorbable fixation in the treatment of fractures of the distal femoral epiphyses. Archives of orthopaedic 1997. Mizuta T, Benson WM, Foster BK, Paterson DC, Morris LL. Statistical analysis of the incidence of physeal injuries. J Pediatr Orthop 1987; 7(5): 518-23. Jawetz ST, Shah PH, Potter HG. Imaging of physeal injury: overuse. Sports Health 2015; 7(2): 142-53. Slap GB, Chaudhuri S, Vorters DF. Risk factors for injury during adolescence. J Adolesc Health 1991; 12(3): 263-8.